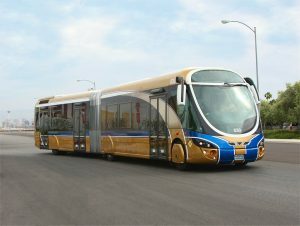 RIVERSIDE, CA – Complete Coach Works (CCW) is proud to announce its contract award to upgrade the aging AvantAC System in 50 Wrightbuses for Regional Transportation Commission of Southern Nevada (RTC). A full redesign of the HVAC system was required as a lack of available components to repair the AvantAC system has caused an increasing inability to service the system resulting in buses not being able to be used in revenue service. The awarded contract has allowed CCW to develop its own operating logic system and retrofit newly designed HVAC components into the Wrightbus. The successful outcome of this system granted CCW the opportunity to install the system into the remaining 49 buses. “Our successful development is groundbreaking news for our company and within the transit industry for all agencies struggling to maintain their own AvantAC HVAC system. We now have a replacement system that will have parts availability well into the future”, stated Director of Sales and Marketing, Brad Carson. CCW’s new system utilizes readily available industry components with our own streamlined operating logic that is standard within the transit bus industry. By providing alternative parts that are ready for immediate use, it keeps the major system components running for a considerably longer period of time without the need for replacing the entire unit. CCW’s approach provides a shorter design cycle and faster implementation. Complete Coach Works (CCW) is the largest U.S. bus remanufacturing and rehabilitation company and the leading provider of a vast array of transportation solutions with over 30 years of dedicated service in the transportation industry. CCW is a pioneer in the business and strives to continually provide cleaner air through innovative design and engineering, resulting in the world’s first and only remanufactured all-electric battery powered bus. Regardless of how small or large the job, CCW provides an exceptionally experienced team of over 350 experts, committed to customer service and satisfaction. The Regional Transportation Commission of Southern Nevada (RTC) is a regional entity that oversees public transportation, traffic management, roadway design and construction funding, transportation planning and regional planning efforts known as Southern Nevada Strong.The RTC provides mass transit that connects throughout Southern Nevada and administers programs that encourage sustainability, such as Club Ride Commuter Services that promotes walking, biking, carpooling, vanpooling and taking transit to and from work. As a public agency, the RTC has a great responsibility to the community and therefore recruits and retains only the best and brightest people in the industry. RTC representatives are motivated to achieve excellence and strengthen the agency’s community investment by striving to attain key objectives.